There are currently 91,597 users on this website. Is This A Good Deal From Apmex? US Mint commemorative silver dollars, since 1983, same size and weight as a Morgan or Peace dollar, for $17 each in quantities under $20. It comes in a capsule, and is either proof or uncirculated. The problem is that you don't pick the coin, and it's not necessarily proof. 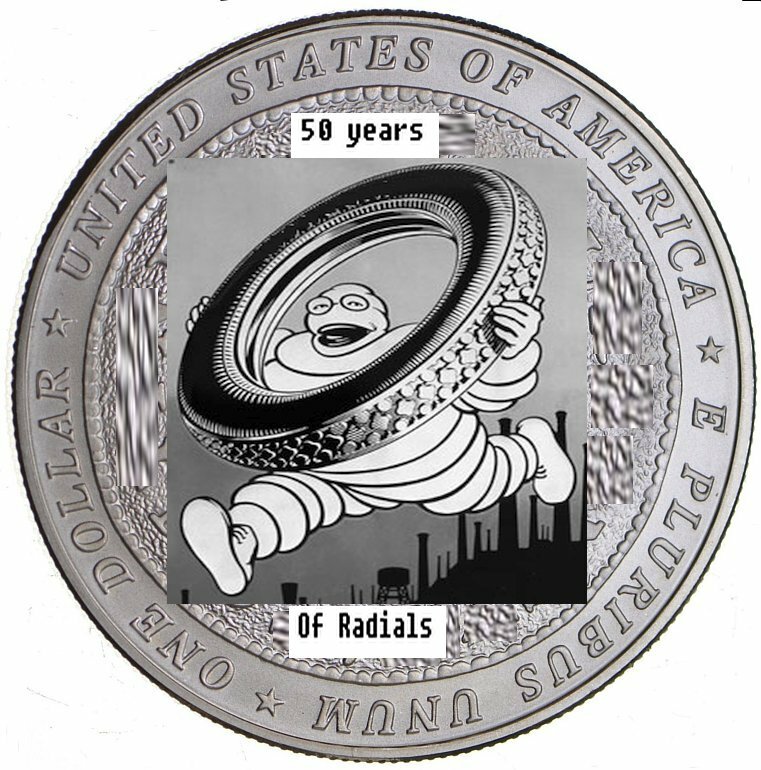 If you buy 10, you could end up getting 10 coins celebrating the 50th anniversary of radial tires. I wouldn't pay more than spot. While the price seems fair enough I would not buy sight-unseen random commems for $17. If you're looking at these as a way to purchase silver, then that's more than 40% over current Ag spot. There are much cheaper ways to own silver. At the same time, APMEX wants $17.99 for random year VG-XF Peace dollars and $18.99 for VG-XF 1921 Morgan dollars. Compared to those prices, $16.99 is a relative bargain if you're buying silver dollars for the silver content alone. Also, chances are the commemorative dollars will be in higher grades. If you want to collect commemorative silver dollars, then you're probably better off to buy individual, known coins to get the quality you want and avoid potential duplicates. So, it doesn't seem like a good way to own silver or collect commemoratives to me. If this is what you want, you can get the same deal for $15. APMEX is a big operation and not know for "deals". I never use them. I've mainly been buying from Provident lately, but APMEX had a few things of interest to me lately, such as silver nickels for spot. I'm mainly looking to buy at spot, but also buying things I find personally interesting that don't cost too much over spot. The attraction of the commemorative offer was the chance of getting a few different ones, and getting some proof coins. I know that "junk silver" coins, especially when silver prices have taken a dip, are an excellent way to acquire bullion and maybe luck into a collectible here and there. Here I was just trying to find an interesting alternative besides the old silver dollars. The silver content of this "form factor" of dollar is just under $12 at the current spot price for silver, but the "floor" for any US Mint silver dollar seems to be at the very least about 30% above that, unless it's seriously banged up. Coinfrog is 100% correct. Like other precious metals dealers, they have one goal, making the Almighty dollar.....PS, Try locating, if any, the local coin collecting "Sunday shows ". Vendors selling their coins etc. Usually about 25 dealers too. There is one I frequent that is held in a local VFW hall every second and last Sunday every month. I find for the silver, coins, Morgans, and Peace in VF+ to unc's they get about 14-16 dollars each, more for the sweet unc;s at times too, all according to the condition, Good Luck. PS, I used APMEX a couple of times, the service leaves much to be desired.! I've used APMEX many times for gold and silver purchases. I've always gotten what I feel is outstanding service. Ordering was quick and easy and pricing seemed more than fair (and I check). What concerns me most is that I missed the radial tire commemorative. Is it still available from the mint, or might I have to buy it on the secondary market? howell1018, my theory is that the APMEX deal is their way of getting rid of their radial tire commemorative overstock. I bet if you contact them, they will give you a good deal on a PR68. 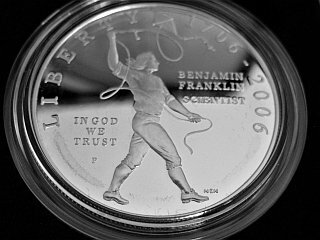 The one that's hard to get is the elusive third 2006 Franklin Tercentenary dollar, where Ben has his hands on the ball of a Van de Graaf generator, making his hair stand up. There's been talk that it's actually a hobo nickel version of the one where Ben is flying a kite. I need that coin in a P235/65R18. That's an expensive size. Go for a narrower width. I thought radial tires were introduced in the 50's or 60's, but I just learned that they're a lot older (1915), so my 50th anniversary coin might be a fake. Keep your eyes out for a 100th anniversary coin! Also a smaller diameter. 18" rims can put a crimp in your budget for real coins.